Mathias Holvoet, a PhD-Candidate, studying international criminal law, at Vrije Universiteit Brussel (Free University of Brussels), joins us to discuss the possible surrender of Saif al-Islam Gaddafi to the ICC. Specifically, Holvoet covers the issue of due process of the accused at the ICC in the context of the complementarity regime . Mathias is also an nalyst for the Global Justice Section of the Global Governance Institute. Who will try Saif al-Islam Gaddafi (middle)? On the 26th of October, Saif al-Islam Gaddafi, the last of Muammar Gaddafi’s eight children still on the run, proposed surrendering to the International Criminal Court (ICC), which had indicted him for crimes against humanity. Apparently, Saif al-Islam, having seen his father killed in cold blood by rebel militiamen, is so fearful of staying in Libya that he would rather face trial in The Hague. Saif al-Islam had previously called the ICC a tool of foreign powers. But they are also the only organization that would at least respect his rights as an accused, something doubtful of the NTC. Given the troubling human rights record the NTC has compiled in recent, including abuses of detainees and assassinations, Saif al-Islam’s fear would appear to be warranted. 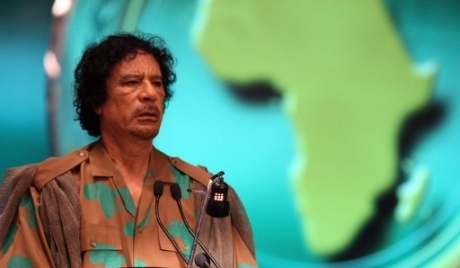 It was also reported that the former intelligence chief of the Gaddafi regime, Abdullah al-Senussi, intended to surrender to the ICC as well. On the 28th of October, the ICC said it had held talks – through intermediaries – with Saif al-Islam about his possible surrender. In response, the NTC expressed concerns over the informal talks the ICC had with Saif al-Islam. The NTC would prefer to capture Saif al-Islam and put him on trial in Tripoli. The future will tell if Saif al-Islam really wanted to surrender to the ICC as a result of the deteriorating human rights situation in his home country. But let’s consider, for the sake of the argument, that Saif al-Islam indeed surrenders himself to the ICC in order to evade “justice” (in whatever form that may be) in Libya and the Libyan courts subsequently start their own investigations, and request the transfer of Saif al-Islam, basing themselves on the principle of complementarity and their primary right to investigate and prosecute the crimes at stake. This raises fundamental questions on the mysterious mysteriousness of the concept of complementarity, which is considered the cornerstone of the Rome Statute. Under Article 19 of the Rome Statute, an accused has the right to challenge the admissibility and jurisdiction of the ICC on the grounds referred to in Article 17 of the Statute, but the Statute is silent on the right of the defendant to challenge the inadmissibility of the case. 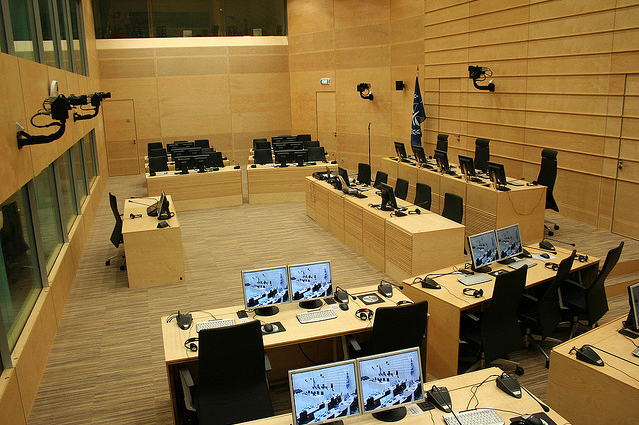 What is more, it seems that the Rome Statute relies on the underlying presumption that the rights of the accused are guaranteed if the accused can challenge the jurisdiction of the ICC by asserting his right to a trial in his home forum. Consider, for example, that the Libyan authorities pursued their own investigations into the crimes committed by Saif al-Islam and bring challenges under Article 19 of the Rome Statute to the ICC on the grounds that the Libyan courts are genuinely able and willing to prosecute Saif al-Islam, similar to the recent submissions brought by the Kenyan authorities before the ICC to challenge its cases against six suspects accused of orchestrating violence in the aftermath of the disputed 2007 elections. Would Saif al-Islam be able to challenge a referral of his case to the Libyan authorities, arguing that the Libyan courts are unable to guarantee due process? More generally, can the ICC rely on due process for a defendant to render a case admissible, and if yes, to what extent? The majority of international criminal law scholars would answer with a clear “yes”. In defense of the due process thesis, they argue that the prospect of an unfair national trial renders a State ‘unwilling’ to investigate or prosecute. Others point to Article 17(2) of the Statute, which says that unwillingness should be determined with ‘regard to the principles of due process recognized by international law’. Still others argue that a State is ‘unable’ to investigate or prosecute if it does not guarantee fair trial rights of the accused. A minority however disagrees. Kevin Jon Heller argues, in my view quite compellingly, that nothing in the Rome Statute suggests that Article 17 requires States to guarantee defendants due process.As stated above, Article 19 of the Statute permits a defendant to challenge the admissibility of a case before the ICC on the grounds referred to in Article 17, but nothing in this provision allows a defendant to challenge a determination that his or her case is inadmissible. In Heller’s opinion, that is exactly what we would expect the Article to do if due process has to be taken into account under the complementarity regime. Indeed, as the case of Saif al-Islam shows, a defendant faced with the prospect of unfair national proceedings wants the ICC to intervene, given the comprehensive due process protections provided by the Rome Statute. Yet, Article 19 provides the defendant with no recourse. This begs the question: why would the Rome Statute give a defendant the right to national due process but deny him or her the means to enforce that right? Heller further argues that Article 17 permits the ICC to find a State ‘unwilling’ or ‘unable’ only if its legal proceedings are designed to shield the accused. In his eyes, if national legal proceedings are designed to make the defendant easier to convict, the provision requires the Court to defer to the State no matter how unfair those proceedings may be. Here Heller’s approach seems a bit too minimalistic and libertarian. The ICTR for example has refused for years to transfer suspects to the Rwandan Courts because there was a risk that suspects would be treated inhumanely and would flagrantly be denied any right to a fair trial. The ICC should follow this jurisprudence. Indeed, some human rights are so fundamental and absolute, that by deferring a case back to a state where not even the most fundamental human rights conditions are in place, the ICC would breach its human rights obligations as an international organization. Whoever is right, the possible surrender of Saif al-Islam to the ICC exemplifies one of the main challenges to international justice, namely its ability to fairly assess domestic legal systems. Setting due process standards that are too high will mean that the international system will always prevail, at least when poor and developing countries are concerned. It cannot be assumed that the extensive human rights protection afforded to all defendants in ICC-conducted proceedings must be applied and transposed into national settings. The ICC is not meant to be a human rights monitoring body designed to oversee all the imperfections of legal systems. However, if complementarity is to ever make sense as the cornerstone principle of the Rome Statute, the ICC should provide more guidance to States on the necessary due process standards to be applied by national courts – even more so because national efforts to adjudicate international crimes are very likely to increase in the near future. The standards set by the ICTY and ICTR can serve as a model. In fact, both ad hoc tribunals have insisted on full compliance, at least insofar as the rights of the accused are concerned. Indeed, respect for human rights, including a national prohibition of the death penalty, has been affirmed as a condition for allowing affected states to take part in bringing persons deemed to be responsible for the most serious crimes to justice. This entry was posted in ICTY, International Criminal Tribunal for Rwanda (ICTR), Libya, Libya and the ICC, The Tripoli Three (Tripoli3). Bookmark the permalink. Having seen the problems the International Crimes Division of the Ugandan High Court had when trying to conduct national proceedings I completely agree with your conclusion. If the ICC is serious about positive complementarity, it should invest some thought in how to support national proceedings and provide at least some guidelines or recommendations.